Slipcovers by Belle Aimee: More White!! This time, a white linen. More White!! This time, a white linen. 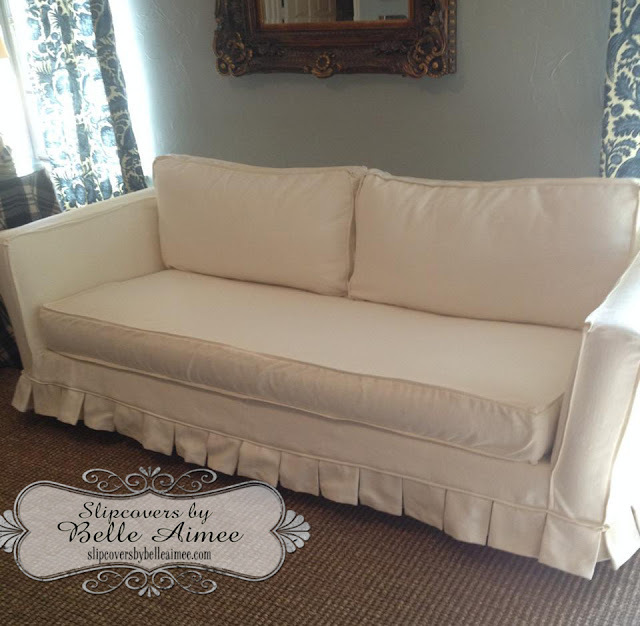 Delivered this white linen custom slipcover to the Grapevine, Texas area. but has since been pressed and looks nice and fresh and crisp. I just love box pleats..